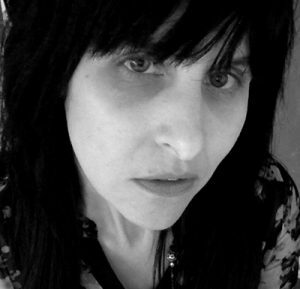 Robyn Carter’s writing has appeared in Conjunctions, Ninth Letter, Colorado Review, NanoFiction, A-Minor Magazine and other journals. She serves as a San Francisco WritersCorp teaching artist in residence at an elementary school in the city’s Tenderloin neighborhood. She holds an MFA from Queens University of Charlotte and blogs at KQED In the Classroom. Her story “Brood” appeared in West Branch 80, Winter 2016. West Branch: In the stories “Aftershock,” “Impossible Object,” “Broods,” “Like Nothing,” “Dolls,” and “Ancient History,” you use a variety of perspectives. You often rely on first or second person, sometimes even switching perspectives in the story. How do you choose which perspective to use and who is the “you” you address in your second person stories? Robyn Carter: I think I gravitate toward first or second person because the story seeds I start with are always real events, something I witnessed or experienced, so as I write, at least in the early drafts, I’m recording a moment as I remember it, but usually in present tense, which tends to amplify the sensory elements of the memory, make the colors more vivid or garish, textures, weather, corporeal stuff like that more palpable, which for me, is more “writeable.” At least I think that’s why I go for present tense. It’s not something I do very consciously— tense or POV. I don’t really make any narrative choice at that stage. It just comes out first person, or second person, if what I’m working from is a memory of an interaction I had with someone else. That was the case with “Ancient History” and “Impossible Object.” The “you” characters in both those stories are exes of the narrators, fictional characters inspired by past, real-life loves. The spark for “Impossible Object” was news I heard through the grapevine (pre-Facebook days) that an old flame of mine had jumped off the Golden Gate Bridge, but survived, the way the “you” in the story does. I rarely write in third person. I struggle with narrative distance, “tuning in” at the right frequency, deciding how much of a character’s head-space the narrator will occupy. I only have one (finished) story in third person, and in that case, I chose that POV consciously because I wanted some distance, an outside-looking-in sort of haze, a dreamier quality that in first person felt stilted. To me, third is a lot more work. In first person, the boundaries are pre-set: you can only see and feel and know what the narrator does, and I guess I’m most comfortable in claustrophobic spaces like that. In third, even close third, there’s spillover to manage. Or maybe bleed-through is a better metaphor. If you pan back, zoom out, how far is too far before it becomes jarring to the reader? How much of the character’s consciousness should color the wider-angle moments, if you go that route. Figuring that stuff out gets overwhelming. WB: There is a surreal element to your work, for instance the snakes in Brood. When you say that all of your works are part of the same universe, is this universe that you mention the same as our universe? And if it isn’t, what are the laws? RC: By “universe,” I mean that the characters are connected to one another somehow, not that they necessarily reside in a place governed by laws any different that the ones we live by. I know “Brood” is pushing the limits there, but I think a snake infestation—and a woman who grows to accept it—is still at the edges of plausible. There have been moments when I’ve felt like an outcast, a broken loser, and instead of grabbing at “normalcy,” I did the opposite, sort of let circumstances swallow me. And on some level, there’s something liberating about it—surrendering control as a way of maintaining it. The surreal-ish elements that surface in other stories aren’t meant to signal the reader is entering a parallel universe. Hopefully, it’s clear the warped perceptions stem from drugs and/or grief. For example, in “Impossible Object,” the narrator’s boyfriend does not actually turn into a dog. She just convinces herself he has because she wants to believe he’s still among the living. WB: We are interested in the idea of surrendering control as a way of maintaining it. In many ways, writing is the ultimate expression of control. In fiction, you build your own universe and direct your characters. How do these ideas of surrender, liberation, and control play out in creating fiction? RC: If fiction has any “rule,” it’s that these ideas—surrender, liberation, control—must drive the work, either as goals or consequences or, often, both simultaneously. For some characters, liberation is surrender, the way it is for the narrator of “Brood;” for others, or for the same character in a different context, freedom can be about gaining or regaining control. This is conflict, right? A choice, a sacrifice. Desire, want, need—surrender or control—but at a price. WB: Have you had to make sacrifices in your life in order to be a writer? RC: When my son was little, I sacrificed sleep. I would get up at 5 or 6 to devour a precious hour of writing time before he woke up. But more generally speaking, I don’t know if I’d use the word sacrifice to describe the balancing act between writing and “life.” It’s rare to make a living solely writing fiction, so like many writers, I also teach. I know some writers see teaching—with its low pay and long hours—as the price you pay to write fiction, so in that sense, a sacrifice. But I don’t see it this way, and not just because I actually love teaching, but because I see this work—and any other non-writing job I’ve done—as a prerequisite to writing fiction. It’s material to draw on. All of the jobs my protagonists have are jobs I, myself, have done at one point or another. The classroom where much of “The Instructor’s Discretion” is set in my actual classroom, the students there, “guesses” at who some of my fifth graders might be five years from the time I taught them. The workshop on “facilitation skills for chaotic times” in “Brood” isn’t fiction. That was the title of an actual workshop the school district in San Francisco asked me to attend. Writers need to live conflict to write it. Write what you know may be old, tired advice, but for me, it’s good advice, or at least a good set of boundaries. WB: Do you set other boundaries for yourself in your writing? What are some specific principles about writing that you hope your students will take away from your class? RC: No other boundaries I’m aware of consciously, except that I seem to avoid writing about anything that happened recently. I need years—decades, usually—for a moment to simmer in the back of my mind before I mine it for material. That’s why so much of my fiction is set in the ’90s. Both my elementary school students and my college students struggle with show, don’t tell. They’ve all heard the mantra, but when it comes to muscle-and-bone, sentence level stuff, it’s not always clear to them what “showing” should look like. Almost always, there’s something beating on the page, something wild and alive driving the work, but it’s buried in dead weight. I guess the writing “principle” I most hope my students take away from my class is that you’ll do some (most?) of your best writing with the delete key. The college courses I teach are 5 week, accelerated intro level classes, so I don’t have a lot of time to see a writer’s evolution there, but I have my kids for three years, so I get to see their craft develop. By the time they move on to middle school, these eleven-year-olds have got some chops. You can check out their work in our classroom’s online literary journal, Room2Ruminations. WB: What writers have influenced you the most? What are you currently reading? What did you read as a child that you still carry with you? RC: Since I teach writing to kids, I probably read as many books for 8-12 year-olds as I do books for adults. I gravitate toward authors who cross age boundaries (or any boundaries, really), who write in language accessible to kids, but who don’t try to force morality lessons into the work, who avoid the neat and tidy in favor of the honest and messy, and who write about childhood as a time of wonder, but also a time of cruelty and confusion. Three masters who walk this line are Jacqueline Woodson, Thanhha Lai and Sandra Cisneros. When my students turn 11, I always give them Cisneros’ story, “Eleven” as a “gift.” When I started doing this, I assumed the kids would think the ritual was sort of hokey, but now every time someone turns 11, they ask me to read the story aloud to the class. As a child, I read Katherine Paterson (The Great Gilly Hopkins, Bridge to Terabithia), and clearly, she’s had a lasting influence on me because as an adult I teach her novels to my class. The ’70s details put me in the headspace I occupied as a child, which I think helps me access her work the the way some of my students do, helps me re-remember how huge something felt when I was ten that registers now as the tiniest blip. Of course now I can and see and admire the way all of the gears of her novels click into place—all of which was lost on me as a child, especially what she does with voice and narrative distance. She writes in a very close third person—so close it’s almost first, her characters’ Appalachian drawls coloring the narrative—but still there’s that sliver of distance, just wide enough for a kid to squeeze into, a little protection almost. As for non-kid reading, lately, I’ve been drawn to the spare style of writers like Rebecca Schiff (The Bed Moved) and Laura van den Berg (Find Me). Less is more for both, but van den Berg’s bare bones descriptions can be gauzy and lyrical, whereas Schiff’s do the opposite; they click and smack, they show by telling. One of my own weaknesses, one I’m constantly checking, is a habit in first drafts of writing past the end of a sentence, tending toward an over-lushness that dilutes the image or scene, so I seek out and study writers whose prose is especially taut. Emma Cline is another. Right now I’m reading The Girls. At first I was intrigued by the subject, a fictionalized account of life with the Manson Family, because I’m working on a piece set in a cult too, but in the early 80s, by then the waning days of that kind of thing. More Branch Davidian than Manson. And the “lost girl” theme was why I picked up the book, but now that I’m halfway through, it’s the precision, the language that interests me more. Her adjectives are so startling and crisp. WB: Aside from your manuscript, what is next for you? RC: I just started teaching for the San Francisco WritersCorp, a city-funded project that places published poets and fiction writers in public schools, jails, and community centers to serve as writers in residence. For now, the new role means my own fiction is on the back burner while I focus on curriculum development, so the writing-teaching balance is temporarily out of whack. But sometimes this can be a good thing because it forces me into new rhythms and patterns. Usually, I write long, trawling stuff, but the recent flux and time-crunch has been driving these short bursts of flash, working a different writing muscle, exacting a spareness I tend to resist but need.